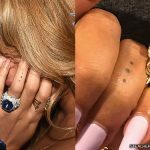 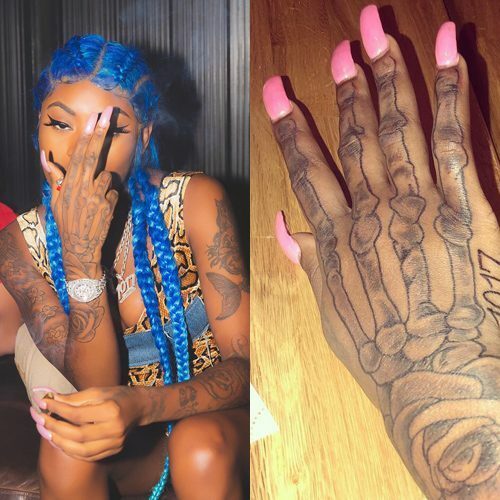 Asian Doll has skeleton bones tattooes on the back of her right hand. 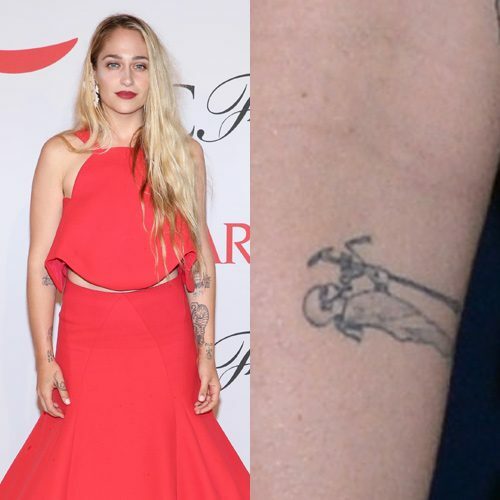 Jemima Kirke has a skeleton tattoo on the inside of her left elbow. 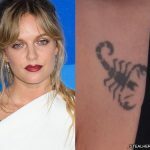 Alice Dellal has an upside-down skeleton tattoo on the inside of her right arm. 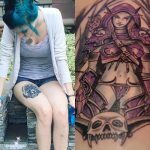 The tattoo is a cartoon skull, vertebrae, collarbones, and ribcage. 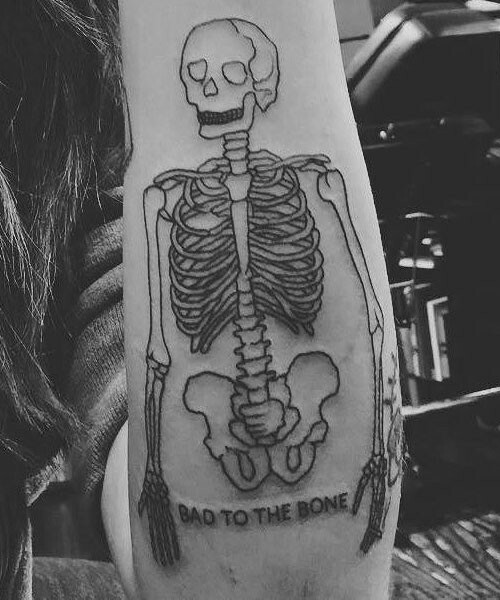 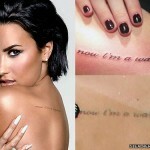 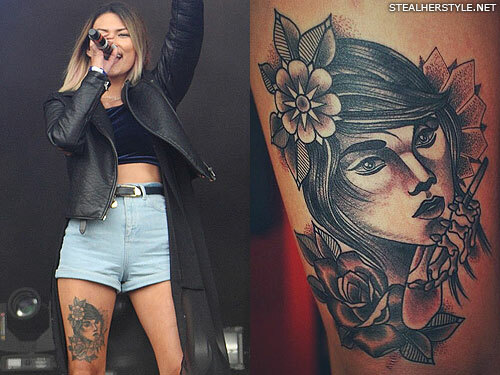 On Hanna Beth’s right arm is a tattoo of an armless skeleton. 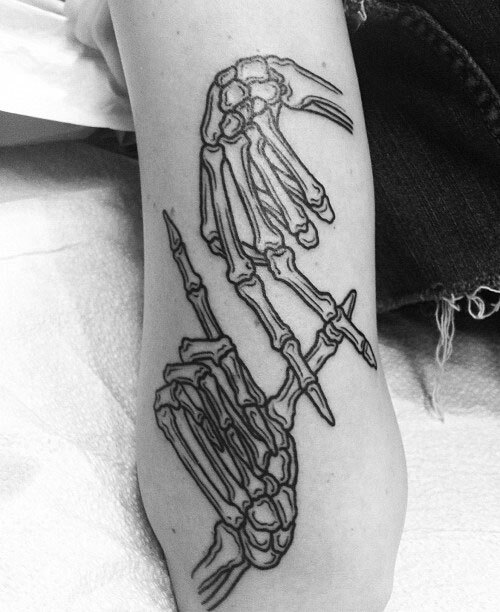 The design is of a ribcage with a heart in the center, collarbones, and a skull.